Bottom line: Apple said the 21.5-inch iMac with a six-core CPU is up to 60 percent faster than its predecessor while the 27-incher with Intel's 9th-gen chip delivers up to 2.4 times faster performance. On the graphics side, Radeon Pro Vega is said to deliver up to 80 percent faster graphics performance on the 21.5-inch system and 50 percent faster performance on the 27-inch machine. Apple on Tuesday rejuvenated its standard iMac with faster Intel processors and AMD graphics, giving the line a much needed performance boost that’s nearly two years in the making. 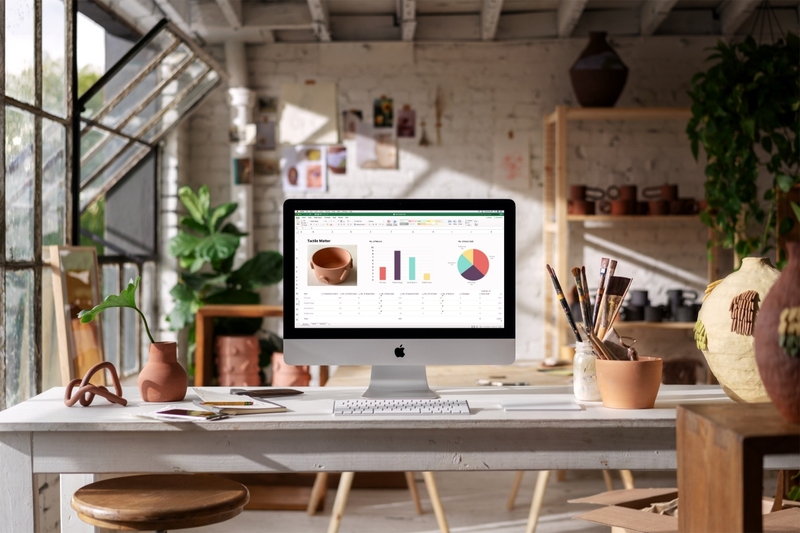 The base 21.5-inch iMac with 4K Retina display now includes an 8th gen Intel Core i3 processor clocked at 3.6GHz alongside 8GB of 2,666MHz DDR4 RAM and Radeon Pro 555X graphics with 2GB of GDDR5 memory. A second off-the-shelf configuration includes a Core i5 processor running at 3.0GHz and Radeon Pro 560X graphics. The entry-level 27-inch iMac with 5K Retina display, meanwhile, comes equipped with an 8th gen Intel Core i5 processor at 3.1GHz, 8GB of 2,666MHz memory and Radeon Pro 575X graphics with 4GB of GDDR5 memory. Apple’s next level configuration bumps the specs to a 9th gen Core i5 chip clocked at 3.7GHz and a Radeon Pro 580X GPU. There’s also the option to configure your own custom build with up to a 9th gen Intel Core i9, 64GB of RAM, Radeon Pro Vega 48 graphics and 2TB of SSD storage. Pricing starts at $1,299 for the new 21.5-inch iMac with the base configuration 27-inch iMac commanding $1,799. Both are available to order as of writing directly from Apple and will be available in the Apple Store and via authorized retailers starting next week. The non-Retina display iMac remains unchanged at $1,099.